Blog » Blog Archive » Cheers! Litchfield is THE spot for wine lovers! Cheers! Litchfield is THE spot for wine lovers! Did you know that Connecticut has one of the best climates in New England for growing grapes? Litchfield is located in one of Connecticut’s two viticulture regions, the Western Connecticut Highlands. Exploring our local vineyards and wineries is fun and easy – there are so many to choose from! 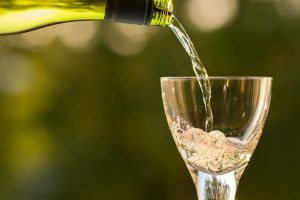 Take the Connecticut Wine Trail, which winds through towns from Litchfield County to the Long Island Sound. Here are a few of our local favorites. The first commercial winery in CT! You’ll Love Living In The Canterbury Model! Why buy now? Quick move-in homes – and lower interest rates!